Postnasal drip is annoying. It is that awful flow of thick or thin mucous that we have all experienced from time to time. But chronic, constant postnasal drip is not normal. It is a symptom of a problem and should be treated by your ear, nose and throat specialist (ENT). Your nasal passages are supposed to be moist. Your nose and sinuses should produce somewhere in the neighborhood of a quart of moisture a day. This is the lube that keeps the system functioning. It is designed to wash away dust particles, fur, smoke, bacteria and other contaminants. This flow of lubricant and contaminants gets swept to the back of the nose and into the throat by the cilia; little hair like structures. Once at the throat it is swallowed and ends up in the stomach where it is destroyed by the gastric acids. That is how the system is supposed to work. But sometimes things go wrong. Normal nasal secretions are produced and swallowed without you being aware of their presence. But what if you have constant, excessive thin secretions that cause you to blow your nose or upset your stomach? These overly abundant thin secretions can be a sign of allergies or allergic rhinitis. Of course, thin secretions are also a symptom of a cold. If you have excessive thin secretions for more than seven to 10 days in a row, you probably have allergies. You can make an appointment with your ENT for allergy treatment. Your ENT can diagnose your allergies, work with you to create an allergy avoidance plan and then prescribe medication or immunotherapy treatment to stop those thin secretions. If your thin postnasal drip is caused by a deviated septum, your ENT will be able to diagnose and treat this as well. Your ENT is the medical specialist to get to the bottom of your thin postnasal drip secretions. Thick nasal secretions are common in Colorado during the winter due to the forced air and radiant heating systems we use to stay warm. This warm hair is dryer than normal. This dryness causes our nasal secretions to get thicker and thicker. Thicker secretions are harder to swallow and can also result in soreness in the throat. When using heat, make sure you use a humidifier as well. This will condition the air with moisture to keep those nasal secretions thin. It will also help with nosebleeds caused by dry air. If your thick nasal secretions are green or yellow, it can be a sign of an infection or even sinusitis. Occasional sinusitis can be treated by drinking lots of fluids and taking a decongestant. However if you continue to have sinus pressure headaches and your sinus symptoms and thick nasal secretions don’t go away, it’s time to call the ENT for an evaluation. 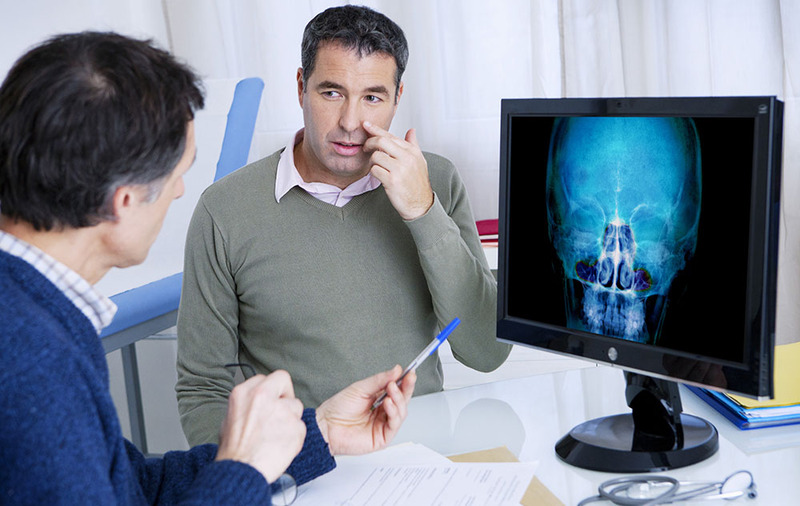 No matter if your annoying postnasal drip is thin or thick, the expert medical team at Advantage ENT can help. Our team of ENTs and other professionals will get to the root cause of your problem. We will treat the cause of your postnasal drip. You aren’t just a set of symptoms when you come to Advantage ENT. We will treat you as a valued member of our community because we care about you and your health. Call and make an appointment today.